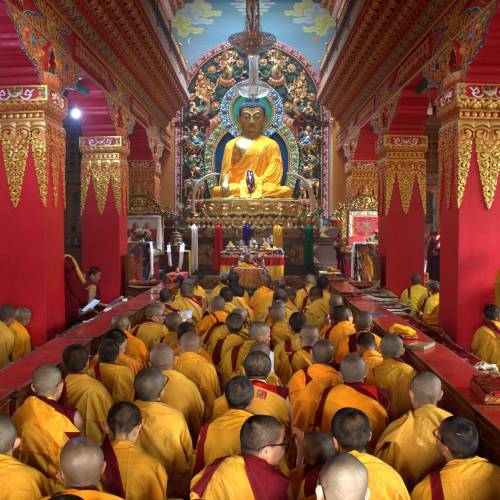 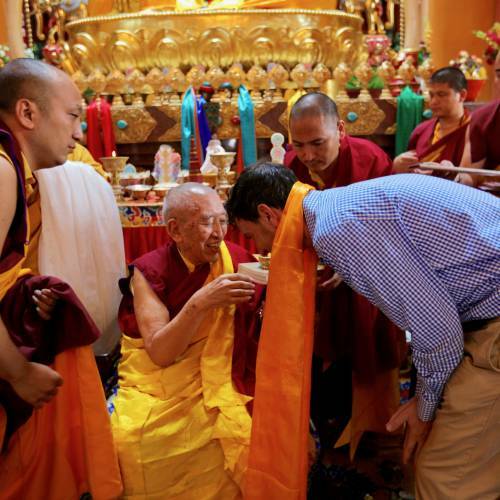 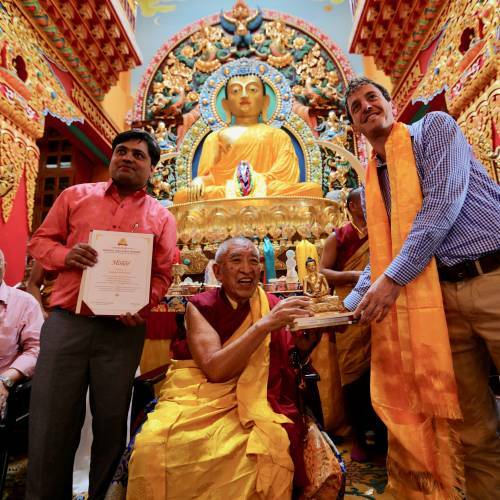 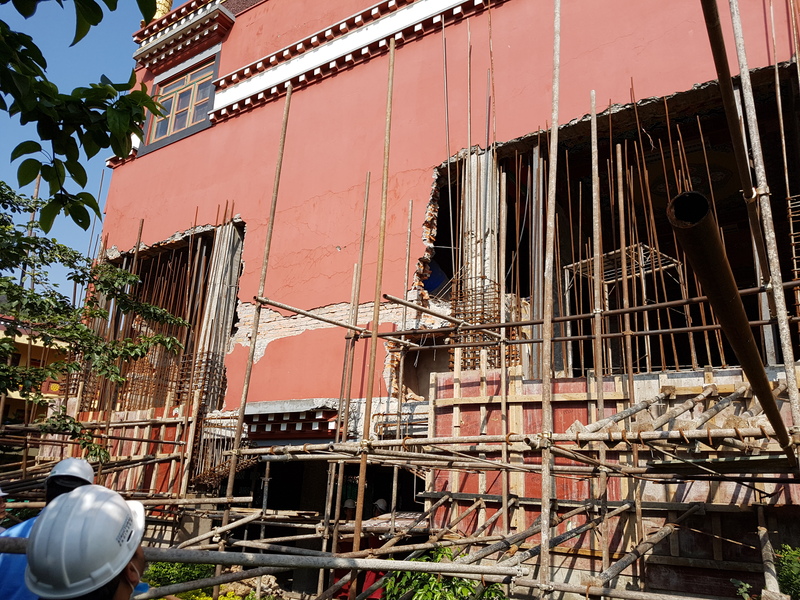 A “handing over” ceremony was held recently for the beautiful and recently completed repair and seismic retrofit of the Thrangu Tara Abbey Monastery in Kathmandu, Nepal. 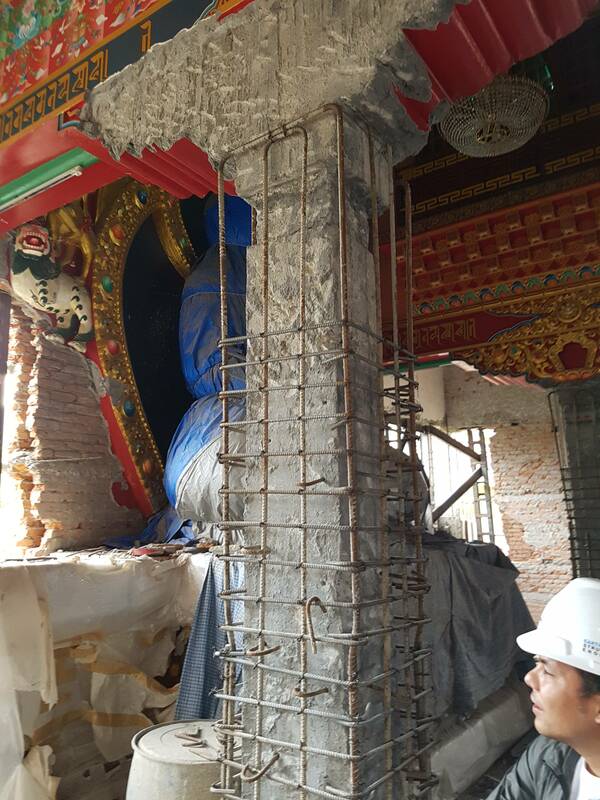 The spiritually significant structure was badly damaged in the M 7.8 earthquake that collapsed many historic and culturally important buildings in Nepal in April 2015, killing nearly 9,000 people. 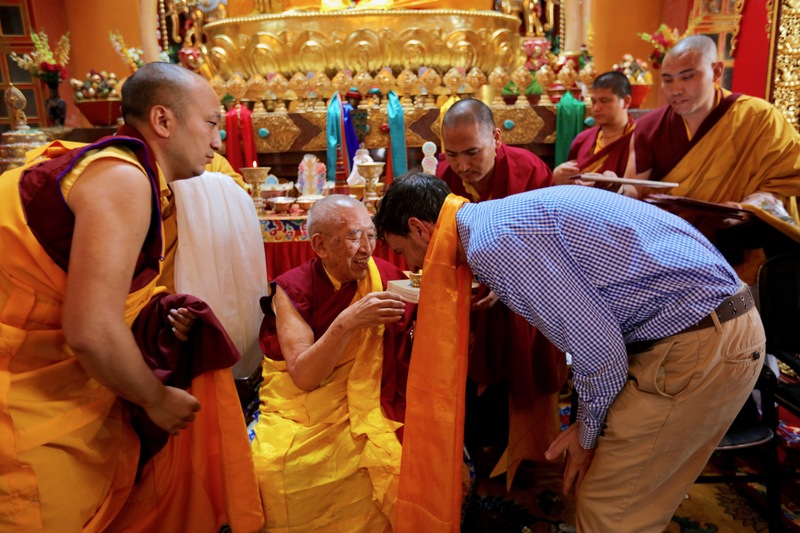 We are both proud and grateful to attend the ceremony. 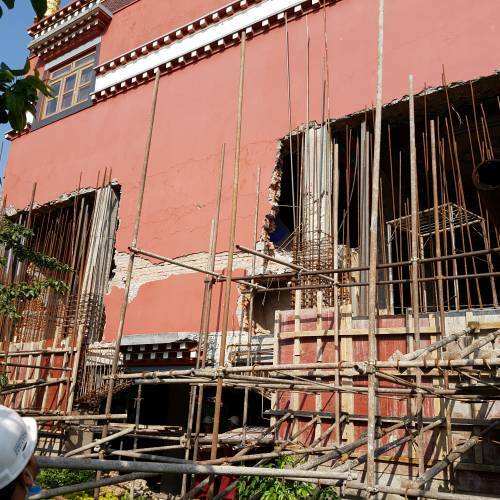 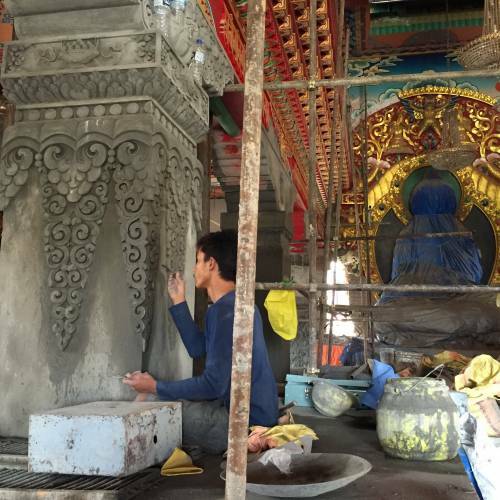 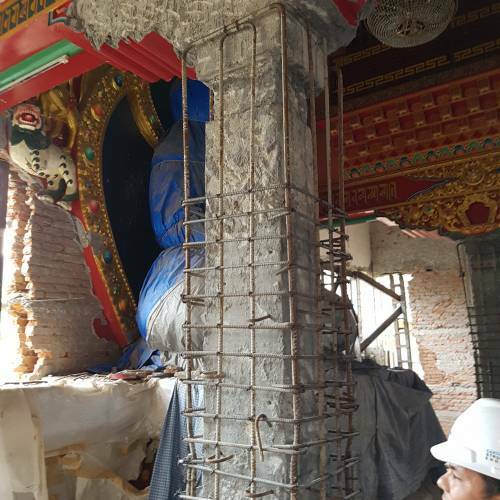 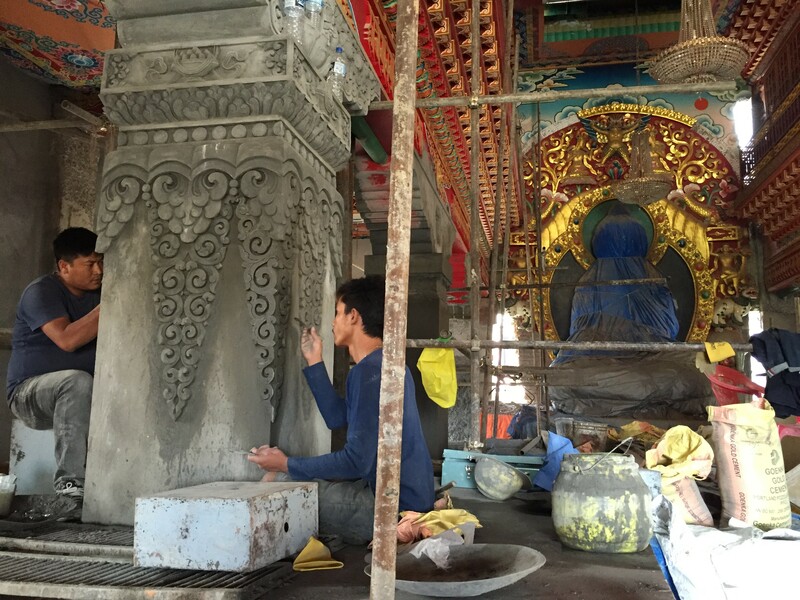 Located in Swayambunath, a special spiritual place that is home to the famous Swayambu stupa, the monastery project retrofit was conducted by Miyamoto International, an earthquake and structural engineering firm with an office in Kathmandu. 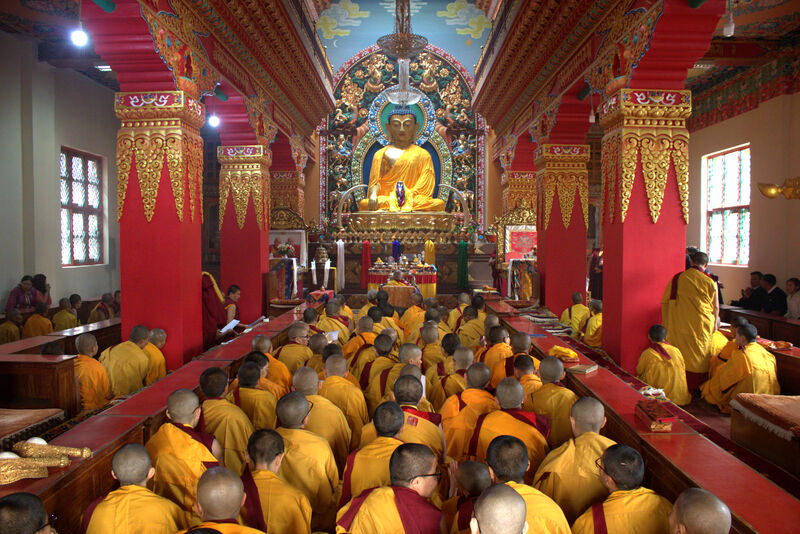 Miyamoto’s retrofit design ensured that the sacred Buddha within the monastery was undisturbed during construction and for future earthquakes. 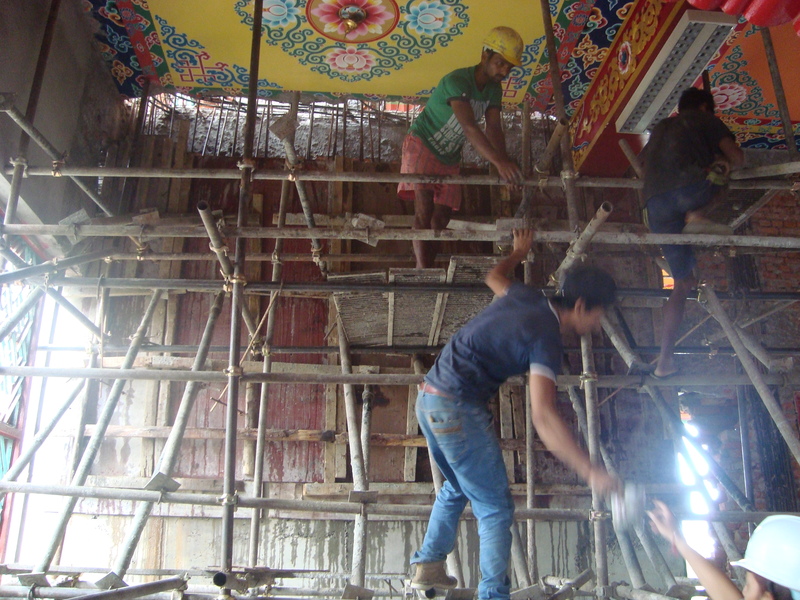 Creative use of locally readily available materials such as reinforced concrete was a key to success. 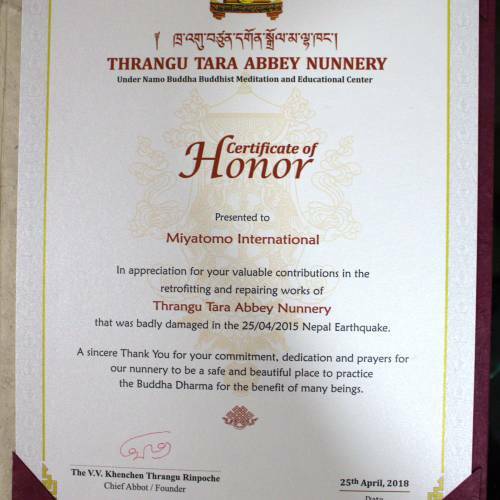 The handover event, which included a special puja ceremony, coincided with the third anniversary of the earthquake. 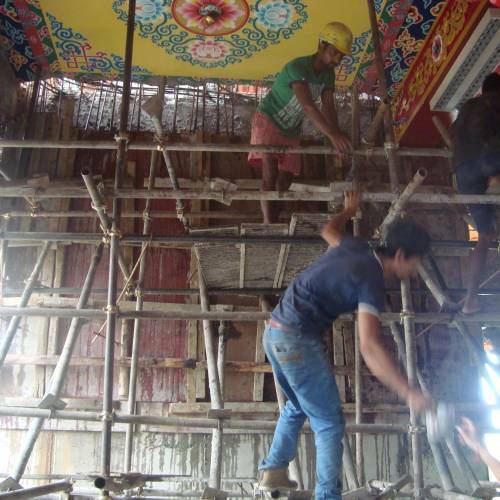 The project was funded by the Tzu Chi Foundation. 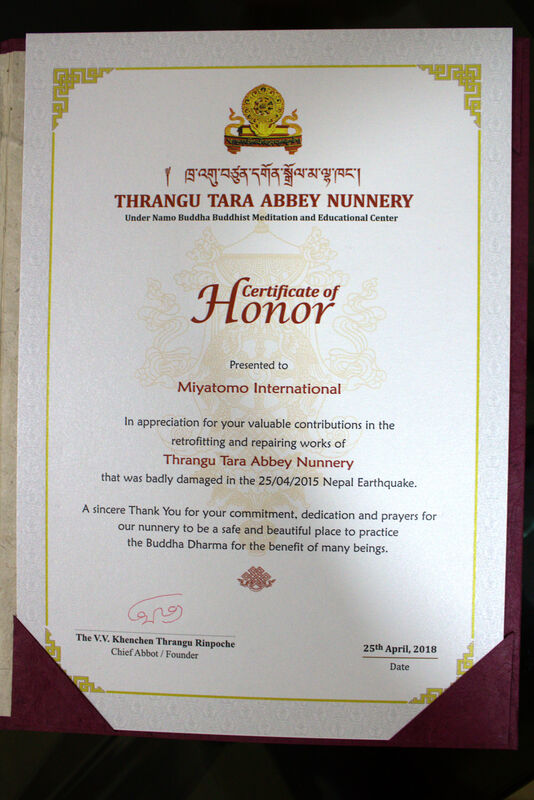 During the ceremony, the Very Venerable Thrangu Rinpoche, the spiritual leader of the monastery, acknowledged Miyamoto International’s work. 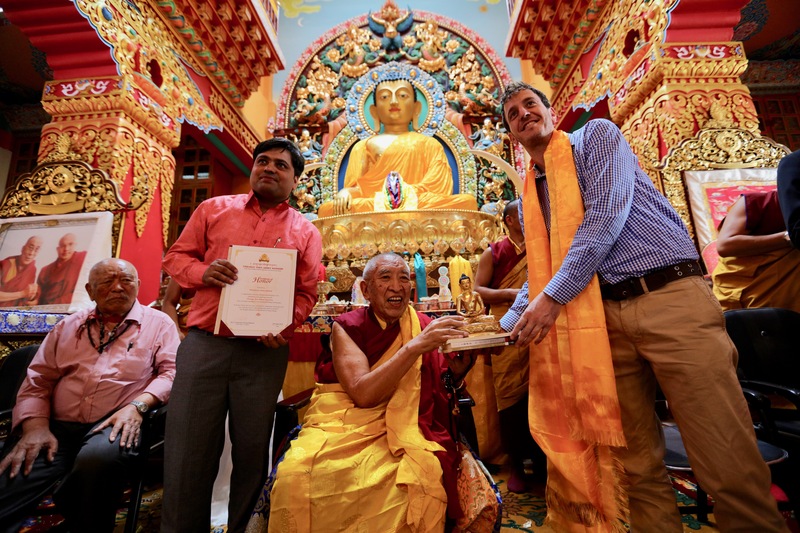 Sudip Pathak and Bryce Neuman, both from Miyamoto’s Nepal office, said they felt proud and grateful to attend the ceremony. 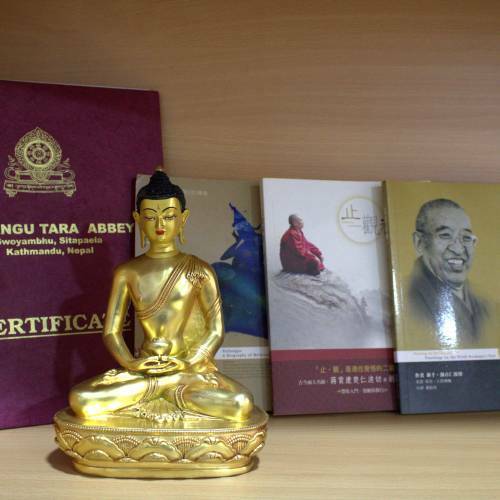 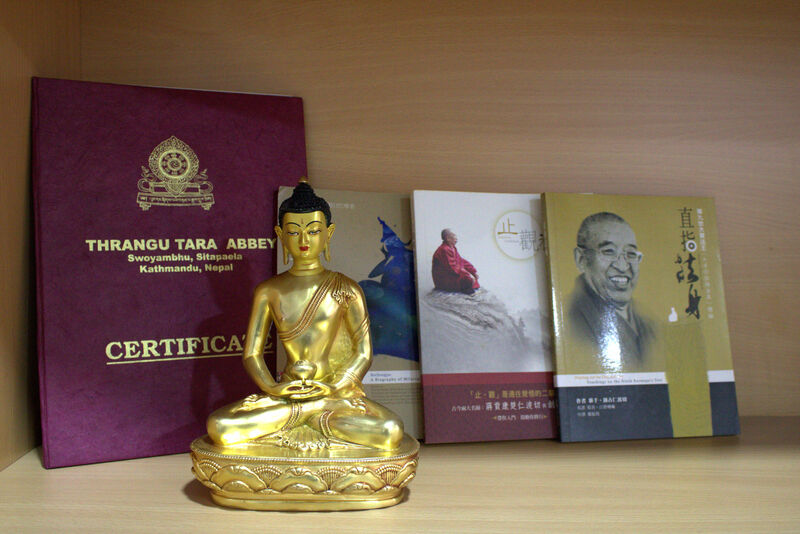 It was a very meaningful day for the project and client, the Namo Budda Education Center. 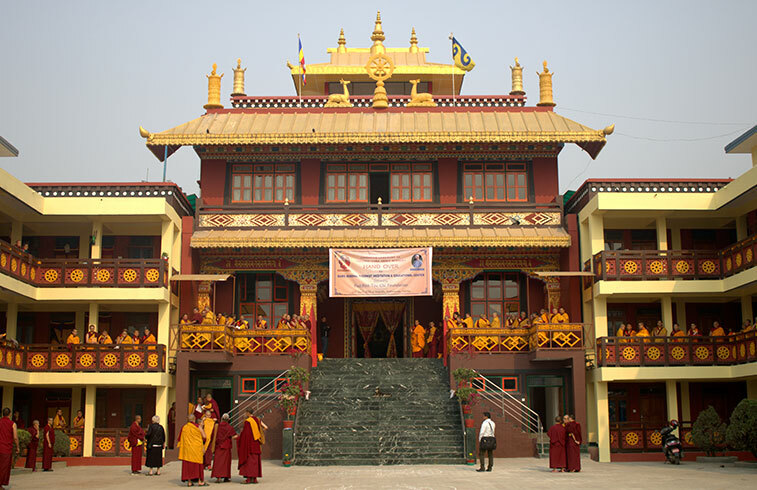 ←Old Building Converts to “Living Building.” First in California.